This cathedral has been the seat of the Lutheran Diocese of Strängnäs since the Protestant Reformation. The church is built mainly of bricks in the characteristic Scandinavian Brick Gothic style. Originally it was built of wood, probably during the first decades of the 12th century on a spot where pagan ritual used to take place and where the missionary St. Eskil was killed during the mid 11th century. 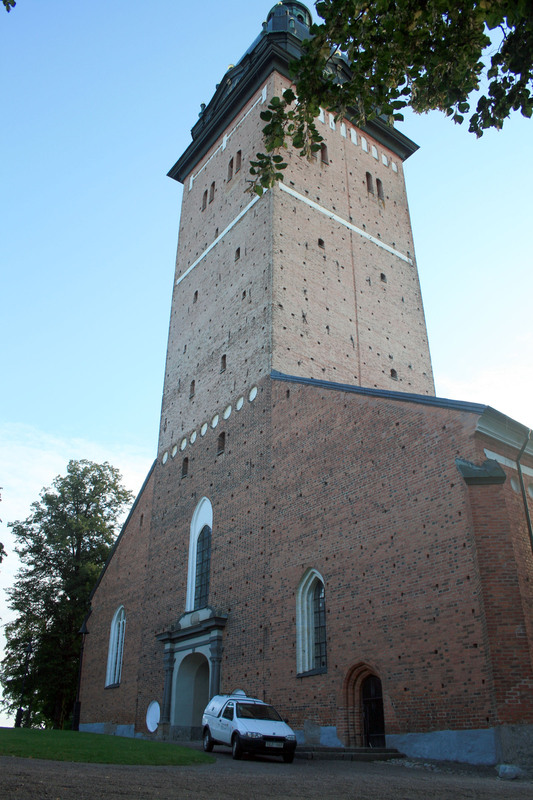 It was not rebuilt in stone and bricks until 1296, just after Strängnäs became a diocese. The cathedral contains the burials of Karl IX of Sweden and Maria of Palatinate-Simmern.